Burn Brae Mansion was built in 1907 by Margaret Ross MacKenzie Elkin as part of the estate of George Ross MackKenzie, third president of the Singer Sewing Machine company, who made his fortune as confidant and advisor to Isaac Merritt Singer, the company's founder. Upon George’s death in 1892, with an estate valued at $3.5 million, seven of his children built elaborate summer mansions in Glen Spey. Margaret and her husband Charles Elkin built Burn Brae Mansion as the last family mansion and one of only three still surviving. It is believed that the house was designed by prominent architect Henry J. Hardenberg, who worked on a number of projects for Singer executives. Margaret continued her father’s tradition of donating to many charities, and she enjoyed throwing lavish parties. She outlived several of her children, as did her parents, including her daughter Elsey, named for her grandmother, who died at 9; her namesake Margaret; Charles Jr. who died at 34; and grandbaby Levi, who died upon birth. Charles Elkin was an engineer and inventor and held several patents including the Elkin Hose Clamp and for the mouthpieces on pipes and cigars. He also had a spring water bottling works behind the mansion near the woods. He was an accomplished organist. 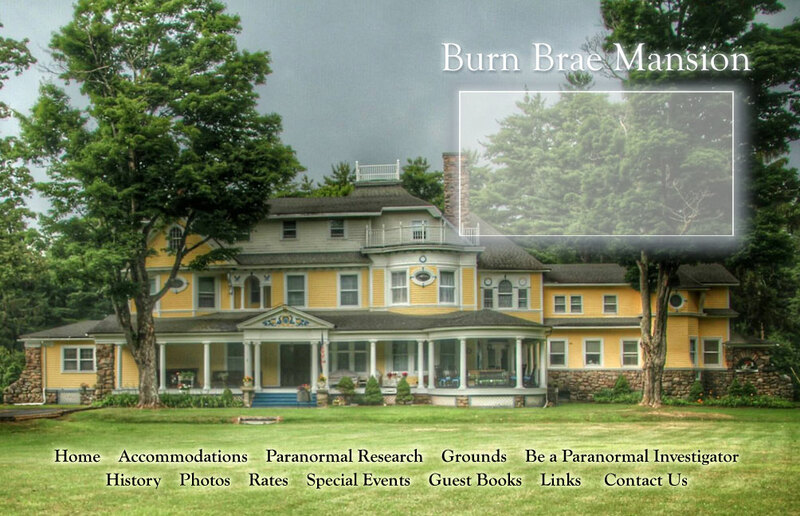 Burn Brae Mansion has had five owners since the Elkins, and over the years it has served as a boarding house, a tea room during prohibition, and a bed and breakfast. The current owners, Mike and Pat Fraysse, have lovingly restored the character of the home and brought back many of the original elements. They currently operate the house as a bed and breakfast, along with a 12-room motel on the site of the former horse stables. At least the last two owners – whose combined ownership spans more than four decades – and their guests, have reported unexplained occurrences, such as doors opening and slamming, children’s voices, balls bouncing, and the apparitions of a woman in white, a man in turn of the century clothing, and a more modern man in overalls. Visitors also often report the sounds of animals when no animals are present and the distinct sound of an organ playing, when there is no organ in the house. More recently, an elderly couple in their 90s, the Hapijs, both died in the house. Guests say that they can still see them from the front yard playing chess by the big window, hear his classical music and smell her daily baking.